By Fred H. Rodriguez, Jr., M.D. “The only constant in life is change.” This is an aphorism that I coined many years ago, and its truth is verified for me almost every day. Hopefully when change occurs, the change results in improving a situation (i.e., in some way makes things better). Very often, however, we do not (or cannot) appreciate or understand why change is necessary. Hence, it is a consistent characteristic of human nature to prefer the “status quo” rather than to actively pursue or embrace change. Many individuals seek comfort in the “status quo.” They seek to be “inert.” They work to develop an understanding of the existing situation and “rules” in order to achieve a “comfort zone” in the here and now. There is resistance to change because change alters the “status quo.” Change forces individuals to learn new behaviors, or, at a minimum, to modify existing behaviors. 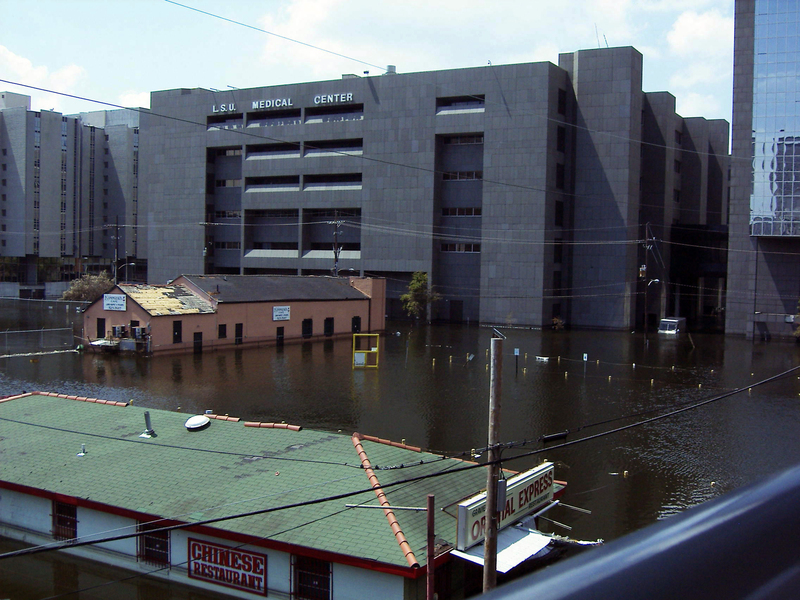 On August 29, 2005, Hurricane Katrina attacked the city of New Orleans, and due to structural failures of the levee system because of inept construction, 80 percent of the city flooded. My laboratory at the Department of Veterans Affairs hospital, the LSU School of Medicine, Department of Pathology, and the LSU School of Allied Health, Department of Clinical Laboratory Sciences were all significantly, adversely impacted by Katrina and the flooding. When disaster and adverse events occur, individuals often ask “why do bad things happen to good people”. What must be realized however is that individuals, for the most part, have no control over what happens to them. What individuals always control however is “what do good people do when bad things happen to them”. As many NAACLS volunteers and blog subscribers know, I will be representing NAACLS in Doha, Qatar on June 13 when the MLS program at the University of Qatar celebrates its 30th year of NAACLS accreditation and will be awarded a seven (7) year continuing accreditation award. I have been asked to give a short talk on the qualifications of their Biomedical Sciences Program. This is a great honor for NAACLS and me, to be included in a celebration for a successful program as well as to visit an exotic location not on my usual travel itineraries. While considering my comments for the celebration, I was suddenly (and pleasantly) inspired with thoughts which would cover both that assignment and my President’s Message for the Blog. Trust me when I say that developing a topic for these blog postings is not easy for me, a circumstance shared with several past NAACLS Presidents (good luck, Fred Rodriquez!). March 4, 2013 President’s Report: NEW STANDARDS ADOPTED, END OF PROJECT? If you follow the NAACLS News blog, you are aware that new Standards for Accreditation and Approval were adopted by the NAACLS Board of Directors last September. So, mission accomplished, end of project, right? Not by a long shot. This is only a way-point in a continuous process of review, revise, and improve. Sound familiar? It should since this is a routine pattern at NAACLS. The Standards, like most NAACLS documents, are living documents requiring periodic review and revision. The needs of the professions change, education methodologies change, accreditation and approval processes change. In order to keep pace, the Standards need regular review and revision. This portion of the process is finished for now, but it’s not rest time. Now it’s time to review and revise the associated documents and processes affected by the changes in the new Standards—think “aftershocks” in earthquake parlance. Fact: The accreditation process is difficult and tedious. All involved in the process, both educational program officials and NAACLS volunteers/staff know this well. To moderate the negative aspects, NAACLS has nurtured an underlying paradigm: To simplify and improve the process for all involved, utilizing computer technology. To accomplish this, NAACLS has been exploring the concept of an Online Accreditation Management System (OAMS) for the past several years, reviewing and evaluating competing systems and providers. At last I am happy to announce that NAACLS has contracted with Desert Rose Design to custom build an OAMS for NAACLS, an investment in the agency’s future that will revolutionize the NAACLS accreditation process. Desert Rose Design has expertise in streamlining workflow of educational program accreditation and finding ways technology can enhance symbiotic relationships between accreditors, programs and volunteers. Development of the OAMS and website re-design will be a collaborative effort between NAACLS and Desert Rose Design (DRD). In a late phase of the project, Desert Rose Design will construct a new user-friendly website for NAACLS. Most people reading this blog are well acquainted with the routine functions performed by NAACLS–reviewing educational programs in the clinical laboratory sciences and granting accreditation or approval. These are very important functions for a wide range of stakeholders, arguably every person in the USA and several other countries. In order to accomplish these functions, and to continually improve the processes and outcomes, there are many ancillary functions and projects which often occur behind the scenes, coming to light only when the final product is rolled out and put into play. I would like to bring a few of the current projects into the light and provide progress updates.